5 Reasons Why I Support Breast Cancer Research! 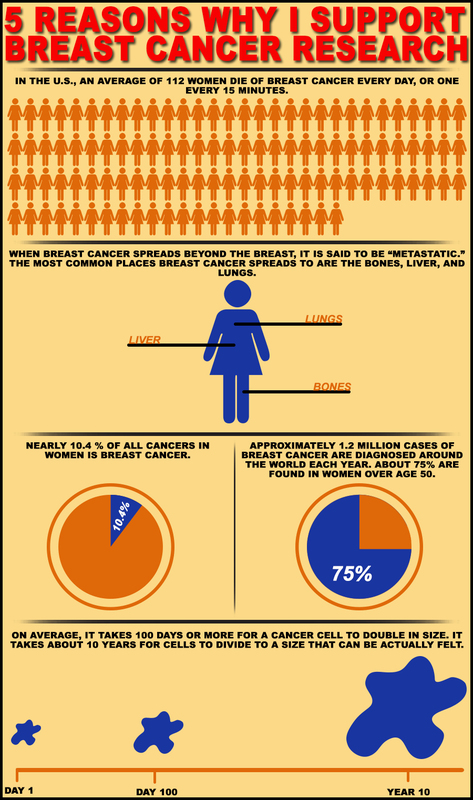 Why I Support Breast Cancer Research! Even if you have never been affected by breast cancer – directly or indirectly – here are 5 reasons why you should support the search for it’s cure. Let’s – together – end this plague! Please share this page to help raise awareness!